Today we celebrate the birthday of Charles M. Schultz. Few people of any age have never heard of him. 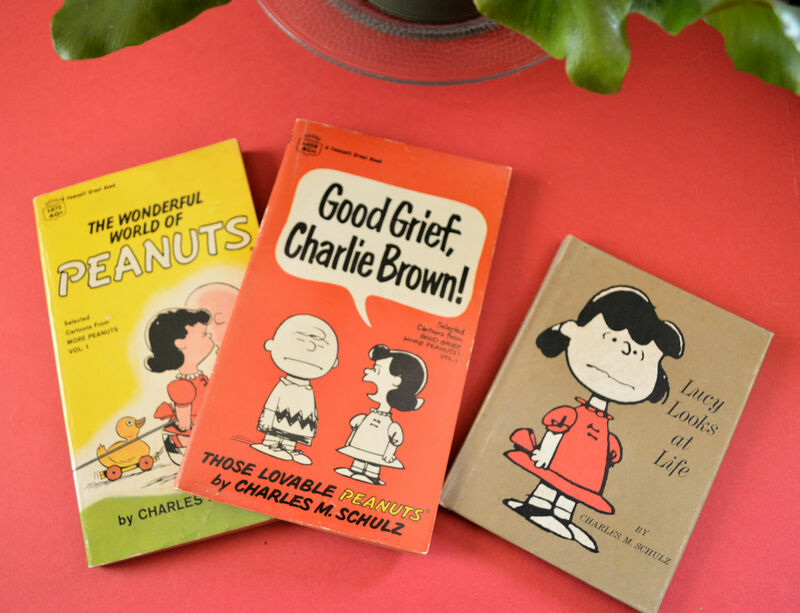 I came across these old Peanuts books in my collection. I must have had them for about fifty years! Yikes! Few kids grew up without drawing a Peanuts cartoon, some simple drawings. Even today, A Charlie Brown Christmas is still one of the most popular holiday shows there is. I love the music and the sentiment. Anyway, it’s a bit silly to wish a dead person happy birthday, but today I honor Charles Schultz and all the inspiration he’s given me and many others throughout the years. Hope you all get to watch A Charlie Brown Christmas this season.